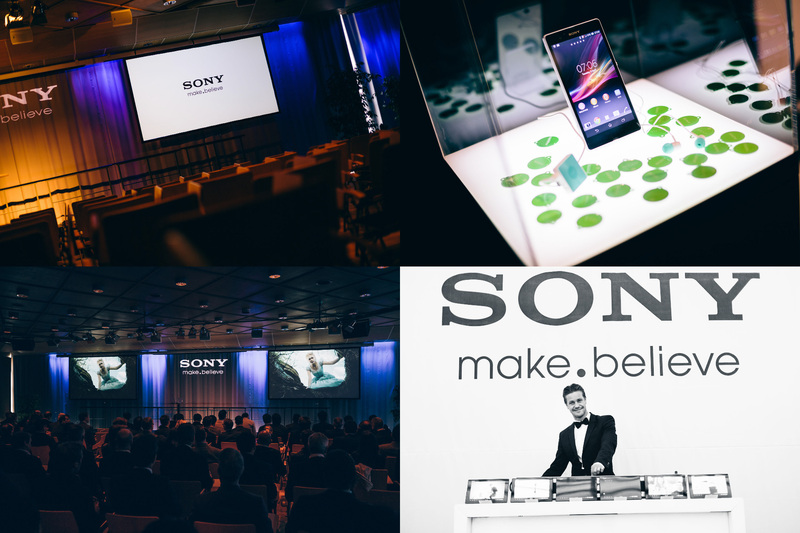 Mission: Mission: To create an international management summit for the worldwide international managers of Sony, in Greater Copenhagen. Solution: We produced a dynamic arrangement in three different venues with a modern tech display area of new products, an advanced multimedia conference with conceptual graphic solutions, an internal price award show, a designed banquet dinner, an innovative digital entertainment stage and a international loungearea with contempory musicdesign & dj´s. Our agency was awarded in 2014 by Sony Japan, being the most successful producer in 10 years for their management summits worldwide, after the internal evaluation. Content: Advertising, Awardshow, Audiodesign, Choreography, Concept, Conference, Design, Digiphysical productions, Displays, Entertainment, Eventdesign, Eventproduction, Event Teams, Films, Food & Beverage, Graphics, Images, Interactive Displays, Meetings, Motiongraphics, Multimedia, Musicproduction, Photography, Productionmanagement, Projectmanagement, Print, Expo & Display, Scenography, Staging, Styling, Technicalmanagement, Visuals.